HomeInstalling Fixtures in Concrete: When is Core Drilling Necessary? 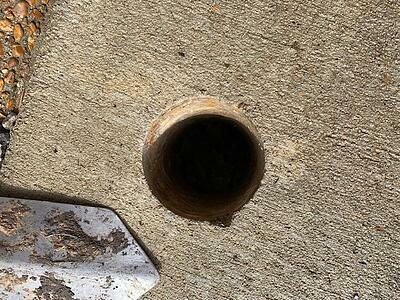 Home Installing Fixtures in Concrete: When is Core Drilling Necessary? 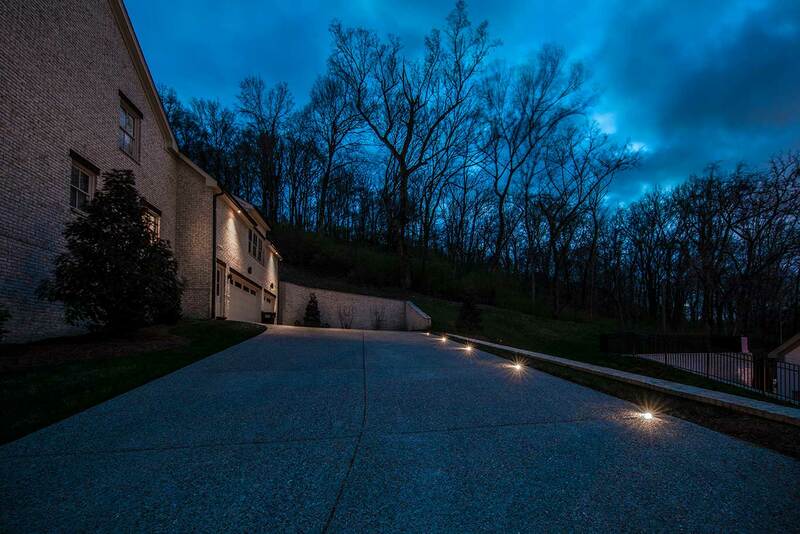 In our years of lighting experience, we have found that there are many times we need to place a directional light fixture in concrete instead of in the earth to produce the best lighting effects. 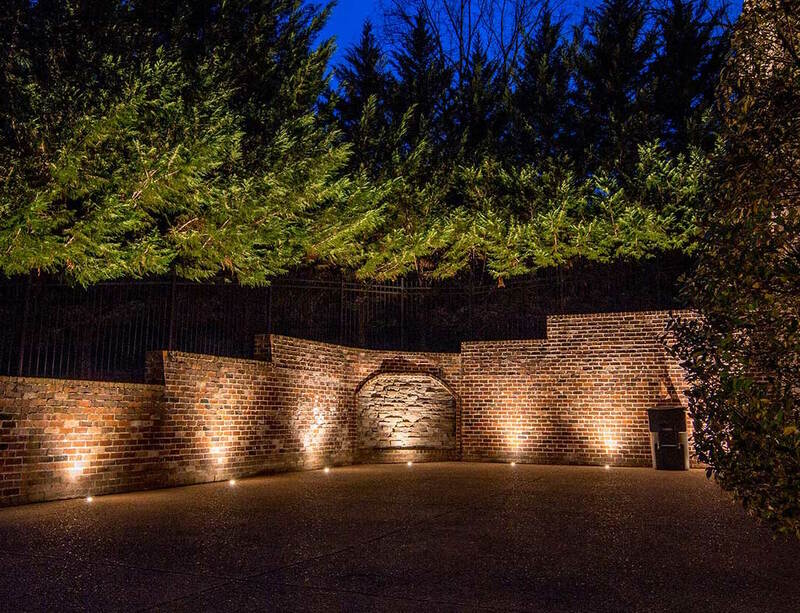 This is common when needing to illuminate driveways, retaining walls, porte cochere, and other parts of a property with no turf nearby. If we are involved in the project before the concrete has been poured, we can rough the fixture in ahead of time. This means we run conduit for our wires and put a concrete mold where the light fixture will be placed so when the time comes we can simply drop in the fixture. More often than not, however, we find ourselves needing a fixture where concrete is already in place. When this happens, we need to core drill a hole into the concrete in the exact size needed for the fixture. Before we drill our hole, we need to carefully measure and mark where we want the light fixture to be placed. Depending on the lighting effect we’re looking for, this is usually somewhere between 10” - 14” off the facade. Once we have identified where we want the light fixture placed, we mark that location in pencil or chalk. Once we have marked exactly where we want the fixture to go, we core drill the hole. 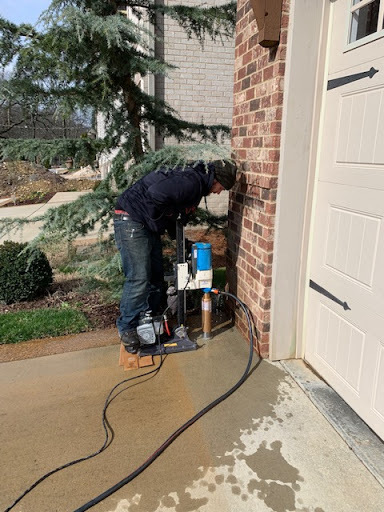 In the image below, we see one of our lighting techs using the core drill to create a hole in the concrete where we want to place a flush mounted well light. After we have drilled out the hole for our light, we need to create a wire path. In this scenario, we were close enough to the edge of the driveway to drill through the hole towards the turf to enable us to pull the wire out. Many times, this isn’t possible and we need to find other ways to get wire cleanly to our fixture. This can be done by using expansion joints in the concrete, creating new expansion joints if none exist, or running wire through the seam where the driveway meets the brick and mortaring over the wire. Every project is different, so it is essential to always plan the wire runs before core drilling. Fixtures must be level before we use a light adhesive to hold the fixture in place. Below we see a completed installation, with the fixture in place. 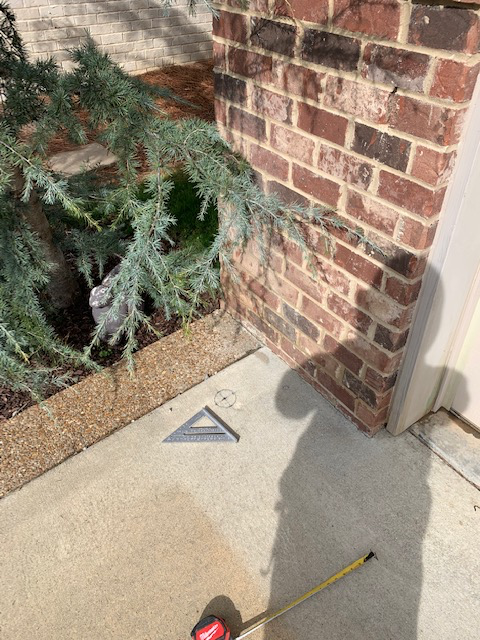 Note that on this fixture, we are running our wire through the expansion joint in the concrete because this location is between two garage doors and well over 10’ from the edge of the driveway. We cut the expansion joint down about ¼ of an inch, lay our wire as deep in the expansion joint as possible, and used a clear silicone to hold the wire in place. We then mix the dust that’s created by routing out the joint with silicone. Once it dries, it seamlessly blends in to appear as if it had always been that way. Installing core drilled fixtures takes training, skill, and experience. 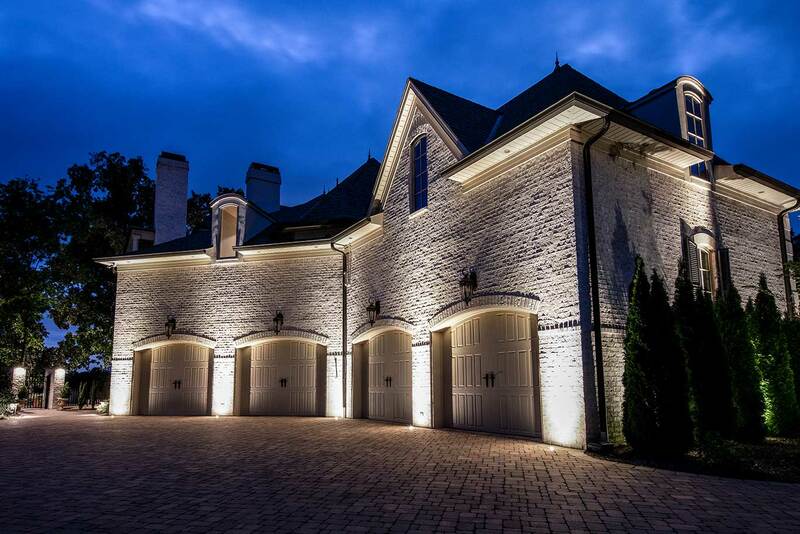 Companies that do not solely focus on exterior lighting, such as landscapers or general contractors, would never attempt to drill through your driveway. Concrete has no forgiveness and mistakes would be costly. 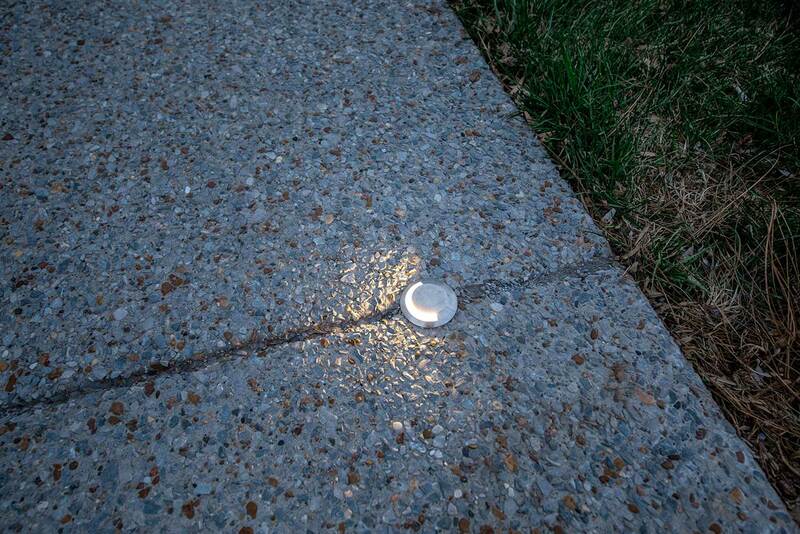 A common suggestion to avoid core drilling is to install a surface mounted directional light, where the fixture is adhered to a metal plate and then adhered to the top of the concrete. This is not only unsightly, but also extremely impractical. If this were placed in a driveway, and a car were to hit it, it would destroy the fixture and lamp inside. Installing core drilled, flush mounted driveway lights avoids this completely - you can drive your car over it all day long, and it will be no worse for the wear. And as you can see from our photos below, it will look absolutely stunning.